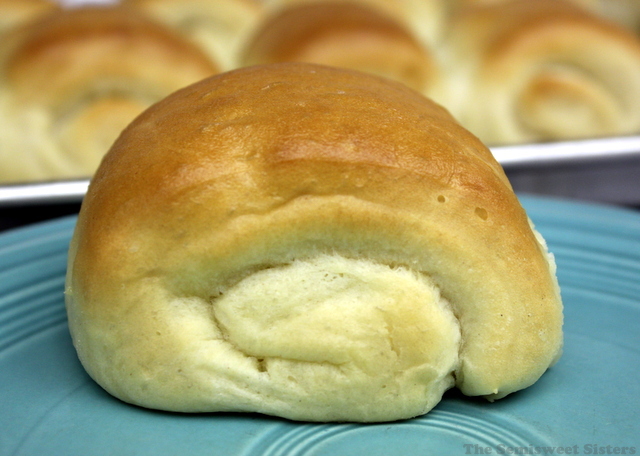 Lion House Dinner Rolls. 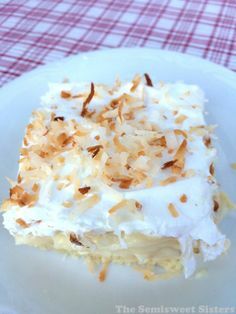 This recipe is adapted from the restaurant in Salt Lake City called Lion House Pantry that is famous for their dinner rolls. Last year I made the Famous Parker House Dinner Rolls for Thanksgiving & they were a big hit with the family. This year I wanted to try something new. 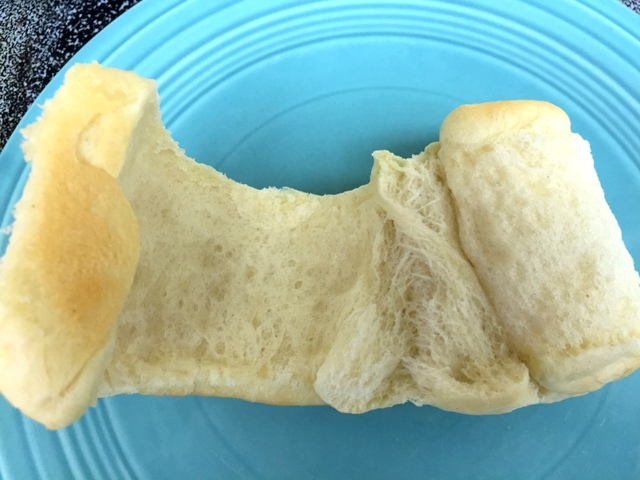 I decided to try the Lion House Dinner Roll Recipe that I had saved from a long time ago. I have to say that both rolls seem to taste fairly similar to me. I almost didn’t make the Lion House Rolls because they call for non-fat instant dry milk powder & I never buy or use that ingredient. I decided to improvise & change the recipe to use skim milk & water as a substitute instead. 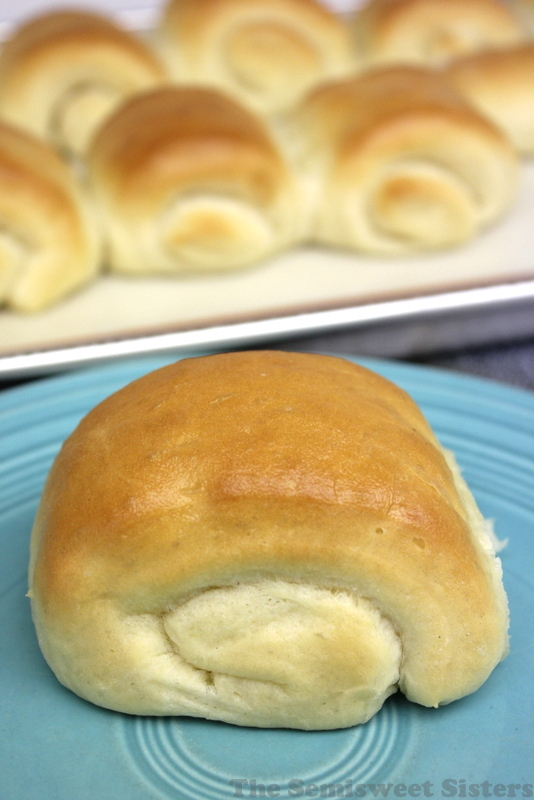 I think these rolls were fairly simple to make, they didn’t take very much hands on time. 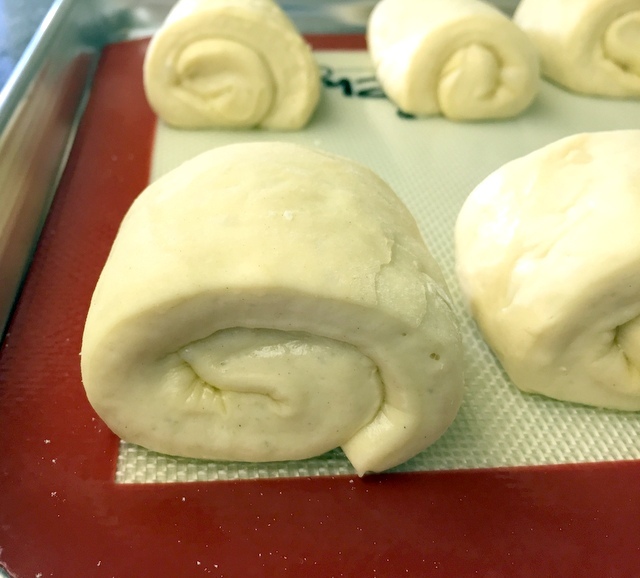 The results were a light & fluffy roll. I like the texture that the brushed butter gives the inside of the roll. 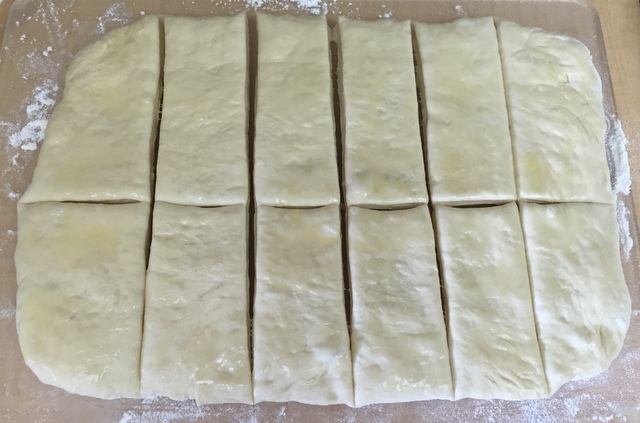 You divide the dough into two parts & roll each out to form a 11 x 14″ rectangle. Then you brush it with melted butter on top & use a pizza cutter to cut it in half horizontally then into strips vertically, about 2×4″. You place it on the cookie sheet with the tail end down on the cookie sheet. Combine warm water, milk, & yeast. 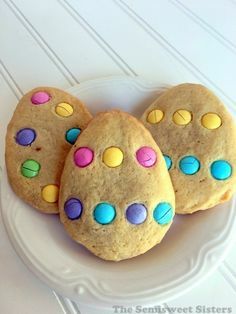 Then add in sugar, salt, butter, egg, & half the flour. 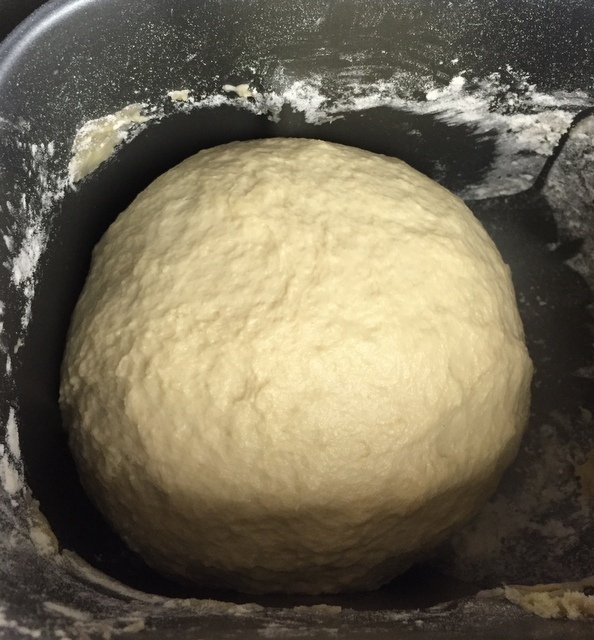 Gradually mix in the remaining flour until dough forms a soft ball & is not too sticky (you may only need 5 cups of flour, if its too sticky then add in up to ½ cup extra flour). Knead for a 5-8 minutes using your favorite method: by hand, with a stand mixer, or with a bread machine on dough setting. 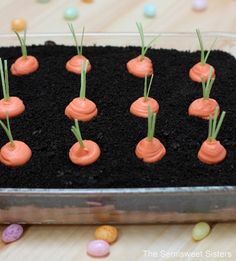 Line baking sheets with parchment paper or non stick baking mat (or grease them). 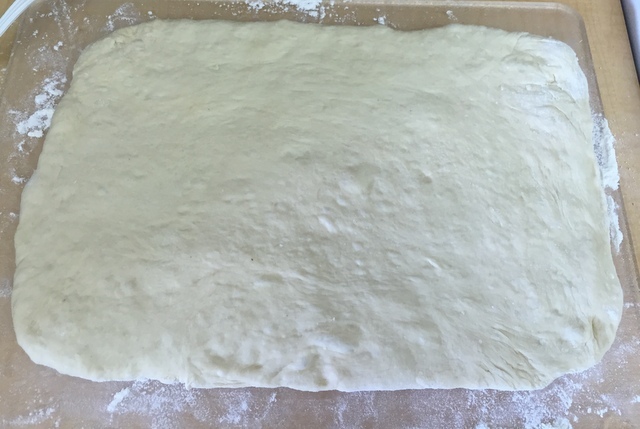 Divide dough in half & roll 1st half out on a lightly floured surface to form a 11x14" rectangle. 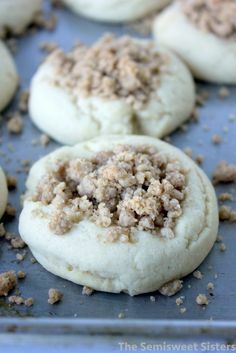 Brush top of dough with melted butter. Cut across the rectangle horizontally using a pizza cutter. Now cut into strips about 2" wide. Roll each strip up the long way & place on prepared cookie sheets. Place the rolls so the tail end is resting on the cookie sheet. 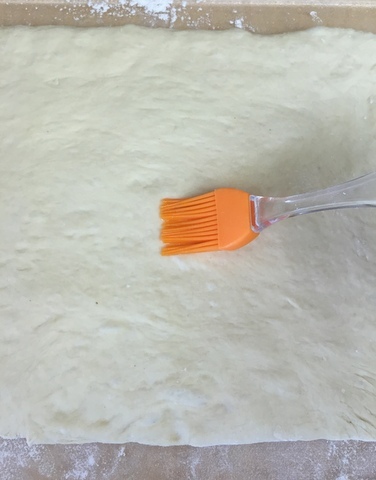 Repeat the process with the last half of the dough. Let rise until doubled in size (about an hour). 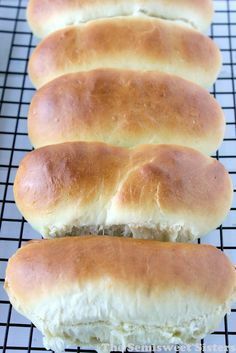 Bake 15-20 minutes or until rolls are golden brown. 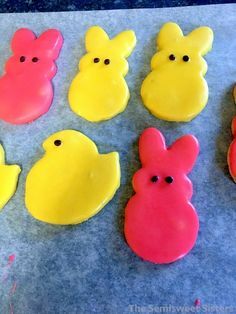 Brush with melted butter when they come out of the oven. I always hate when a recipe calls for dry milk powder! I know I can sub, but I’m afraid I’ll mess it up :( So glad you were able to successfully make these! They look amazing and would be a great addition to my Thanksgiving meal! Hope you have a great holiday! Thanks Megan! I’m glad these turned out too. Hope you have a Happy Thanksgiving!